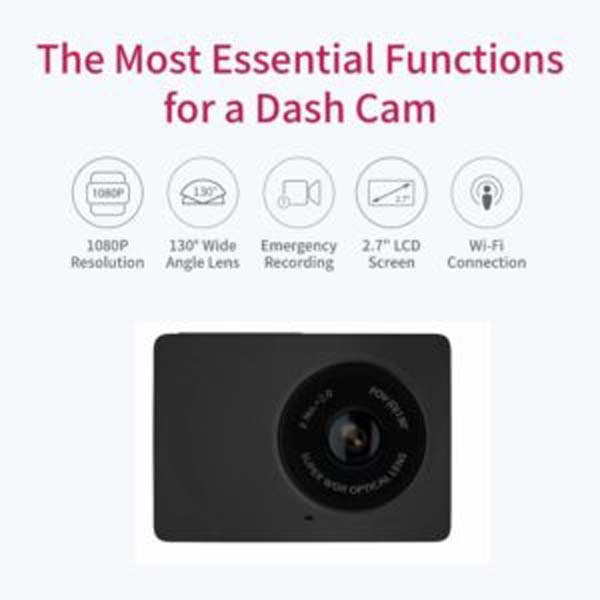 Xiaomi Yi dash cam, YI 2.7 “Full HD 1080P60 Screen 165 Wide Angle Dashboard Camera will be one of your choices in choosing a dash cam that has good quality. Yi is subsidiary Xiaomi which this is a giant manufacturer that has produced and marketed various products such as Mobile Phones, Action Cameras, Powerbanks, TVs, Headphones to Laptops. 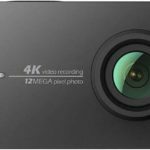 The Yi Dash Cam 1080p has powerful specifications and features that are not inferior to another more expensive dash cam. The field of view that covers 130 degrees is the reasonable range of this lens because the price range is fairly cheap. A wide view through the windshield will be able to record almost everything seen through the viewfinder. A relatively wide viewing angle will be able to see through the front window, the left A-pillar to the right A-pillar will be covered. The lens has a fast f / 2.0 aperture. When it comes to the camera lens, the smaller the f-number, the wider the aperture, the more light can be captured. Wider openings are great for better low-light imaging. The video frame rate is 30 fps, which ensures smooth playback if you need to do a slow-motion demonstration of a saved accident to removable storage (not included). With full HD capabilities (1920 x 1080p), the Xiaomi YI Dashcam Compact is capable of recording clear videos with very good details. You can choose not to record in full HD. However, it will not be recommended because it decreases video resolution, it is less likely to be accepted as evidence. In the event of an accident and or false claim, this video is the only defense that you can use as evidence. 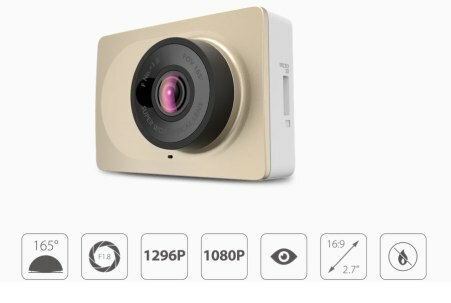 Xiaomi Yi Compact Dashcam have An important and unique feature of the YI Dashcam is its ADAS (Advanced Driver Assistance Systems). This is a condition of the visual recognition system that can detect when you leave the track and will notify you if there is a possibility of a collision long before. In many incidents, lives are lost because the driver only has a split second to react. However, if he had more than a few seconds life could be saved. 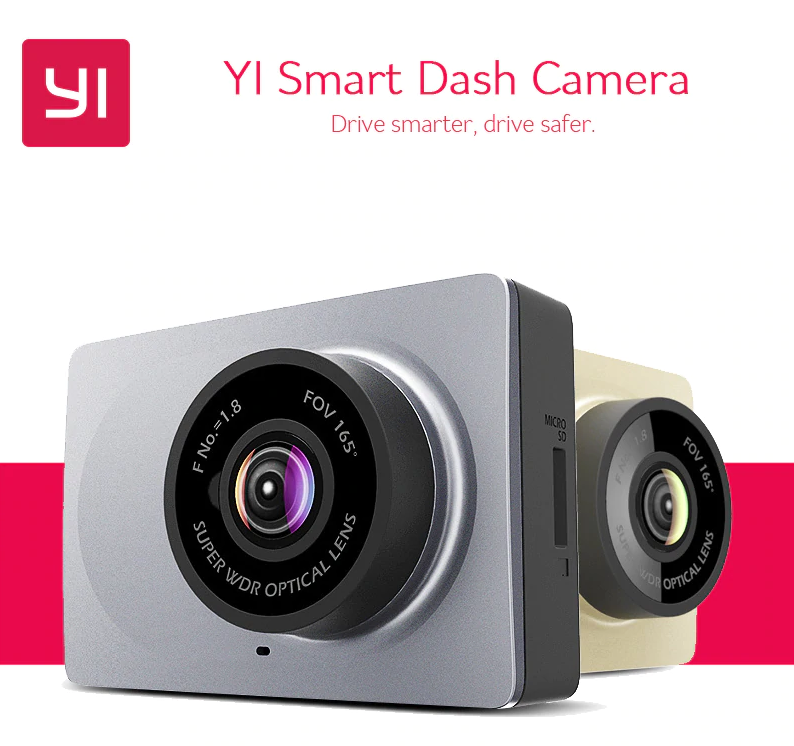 With the ADAS feature from Yi dash cam, this can be an option as insurance for your life and your loved ones who sit in the passenger seat. Memory lock and G-Sensor are very effective. During the normal loop recording, previously saved videos are continuously overwritten when the memory card runs out. But if there are important files that must be maintained, normal loop recording cannot overwrite the clip. For this purpose, by activating the memory lock feature that ensures that the video is not overwritten. 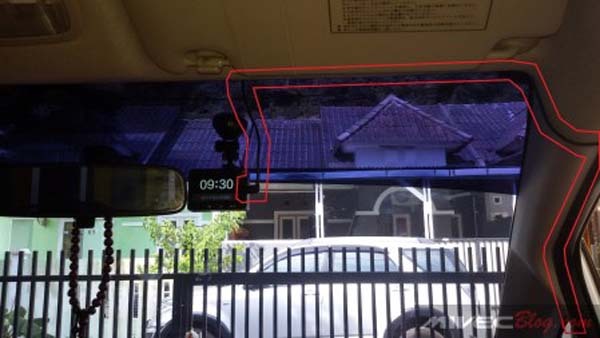 The memory lock will be active when the dashcam experiences a sudden change of gravity. The explanation is like this. Say that your vehicle was hit from behind by another vehicle. Your vehicle will accelerate and then stop suddenly. 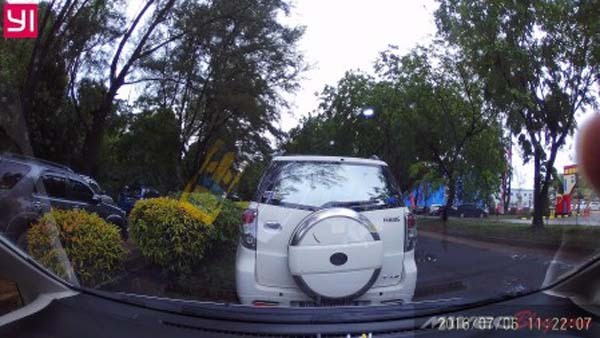 This is one example when the YI Dashcam Compact will consider this as a sudden change in gravity. After making sense, the DVR will lock the video to the memory card so that it prevents it from being overwritten later. 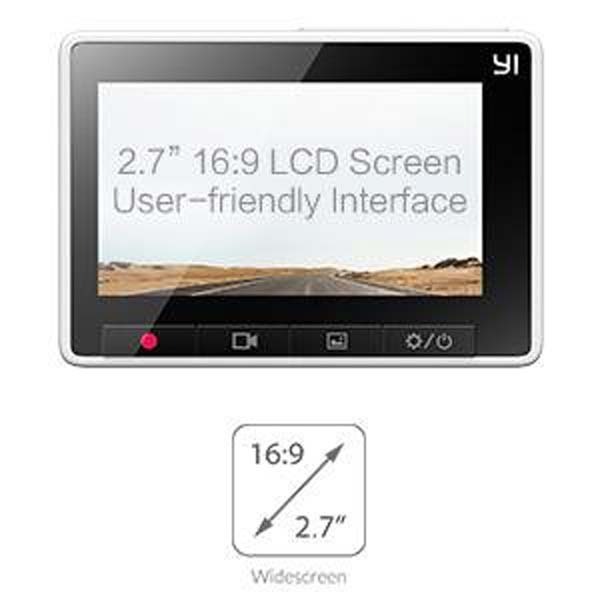 The Xiaomi Yi Dashcam screen has an average 2.7 “TFT LCD widescreen monitor and is common for this price range. The quality of the display is bright, clear and clear, more than enough to see live streaming or menu options. All cameras can be arranged and operated with intuitive icons that adorn the application interface. 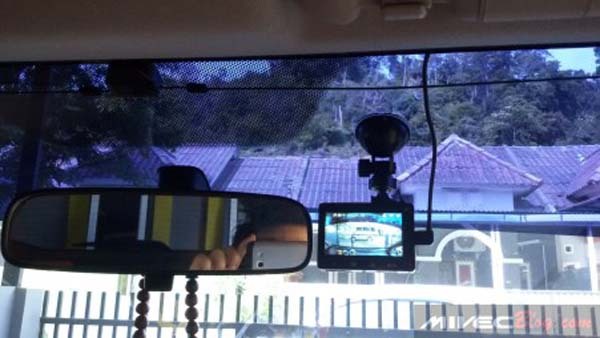 Yi Dash Cam installation in a car is very easy. With the default 3.5 meter USB charger cable, we can install this dash cam wherever we want without worrying about the cable going down or the cable falling apart. We can attach it to the center of the windshield near the mirror so that the resulting record approaches symmetrical left and right. For the USB cable charger, we can hide behind the ceiling and keep going down through the rubber door. It’s easy to just pull the ceiling/rubber door a little and push the cable. Yi Dash Cam works and will record after turning the ignition to the ON position. The photos from YI dash cam can be said to be pretty good with details. Video recording files with 1080P resolution and 30 fps, will be stored in MP4 files with the size of each file around 300 MB. For each file with a duration of 3 minutes, no less and no more, except not even 3 minutes, we turn off the car. For video recordings in the morning, afternoon and evening the results are very bright and not broken with natural colors. Whereas the video at night is also clear, especially with adequate street lights, such as in the middle of the city streets, the results are quite clear where the vehicle license plate in front can still be read. Here as sample the results of the Yi Dash Cam video recording. With a price that is not too expensive and also not cheap, the quality and features of this Yi Dash cam are very worthy. Video recordings are very goodIts good used to capture the events that we experience every day from the car.